4 Facebook features to boost your Video Marketing Efforts! Sruthi - May 20, 2016 - Leave your thoughts. If you are among those convinced that videos can touch every horizon of the online audience, then, Video Marketing on Facebook is the right way for you to spread it across. With the popular “Facebook videos”, the reason has become even stronger. `With a whopping number of 500 million active users, Facebook now stands as the 2nd largest referral source of online video - next to YouTube! And so here is a place where marketers get a platform to showcase their product or service to a wider scope of online audience. Some of the new Facebook features like autoplay and video ads have highlighted the options for turning your video marketing efforts into a promising success. The choice of Big brands like Apple, Levi’s and United Airlines has been to use animation videos to keep up their brand identity. Not only that, Superbrands, multinational companies, and large organizations, which until recently have only used a formal language, are creating animated video explainers alongside their traditional and online advertising. It is because animation videos have the ability to communicate the brand’s spirit and deliver the content in the audience perspective. By clubbing the power of animation videos and Facebook marketing strategies, we will teach you in detail how to leverage your sales and business. It is estimated that there are 100 million hours of videos watched on Facebook. To add to the surprise, experts also say that Facebook video will account for 75% of the mobile traffic by 2020. Facebook wanted to make this platform big for marketers as well as convenient for the audience. In order to bridge it up, it had released a new feature called auto-play. Here the video is played automatically in the News Feed without any sound, and without you having to tap on it. So audience need not face the awkward situations of playing videos aloud amidst different scenarios which may demand some silence. And marketers could earn the opportunity to showcase their product in those precious few seconds. Those few seconds are your convincing hours, so you must make it compelling enough to act as bait. Facebook also believes the same. This is the era where animation is the perfect sales pitch, a convincer and the preferred choice of the audience. The bonus point you earn when you use animation video in this scenario is that you need not ‘say’ using your video, You can ‘show’ it with elegance and style. See how wonderfully Apple has used animated videos to convey its brand’s mission. With minimalistic and clean design, Apple had portrayed its brand’s color and spirit beautifully. Video views on facebook had been bombarded tremendously ever since autoplay feature was introduced. Marketers and startups are experimenting ways to take advantage of this feature by making a great video. You can either take a high-quality video from your iPhone and upload it to Facebook, or you can make an animation-rich video which effectively conveys the message across. But animation videos would be the winning choice, as it conveys the message across in an attractive as well as consumable fashion. It is said that animation videos fulfill the classic marketing tactic (AIDA - Attention, Interest, Desire and Action). And big brands are clamoring for it to convey their brand statement. For newbies who are going to make their first few business impressions on Facebook, Animation videos with autoplay is a perfect combination to take their steps further and earn more views on facebook. If you want to know the creative ways of using animation videos for your business , Read it here. Before I talk about ‘video ads’ , I will tell you what ‘views’ in facebook means. Unlike Youtube, where automatic playing video is not possible, facebook has a different scenario. When you scroll along the Facebook Timeline, slow down and take more than 3 seconds to scroll past that video post, it earns a view in its analytics. And the video which has ‘most’ viewers will occur right at the top of user’s Facebook news feed. This adds as a plus for the marketers. Another plus regarding video ad is that it has an option to target, size up or choose your audience. Instead of creating content that targets a broad audience, you can focus on creating videos that target a particular audience segment. These videos are more likely to get clicks to your website, shares, comments, and likes. When your website offers something new, you can create a video for that specific product or service and promote it as a video ad to educate people about the same. In case you need to make your video ad, let me remind you that Animaker has readymade templates for various scenarios of marketing and business( online course, real estate, educational, sales, hospital etc). Have a look at some of it. Now! Let me guide you on how to make your video ad promotion and select your target audience. 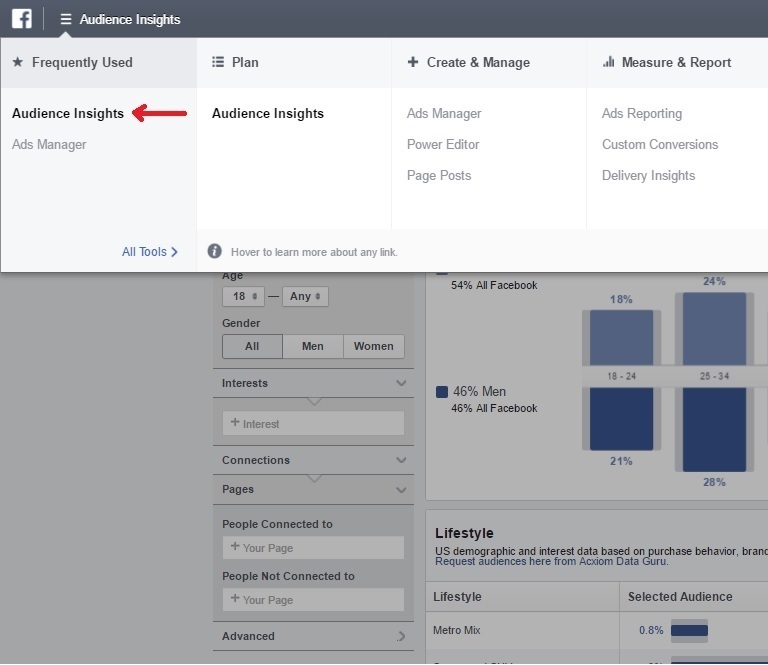 To select the target audience and create your video ad, log into your Facebook Ads manager, click Tools and select Audience Insights from the drop-down menu. 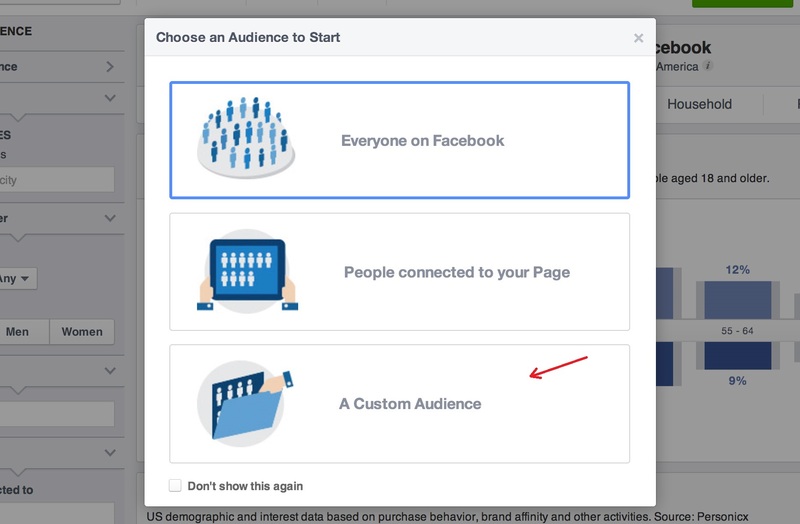 Choose your custom audience(a targeted group). In the bottom left, select your Facebook page to see information on that page. From here you can explore demographics, such as age, gender, lifestyle, relationship status, education level and job title. You’ll also see page likes (what pages your audience likes), where your target audience is located, how active they are on Facebook, composition of their household and more. 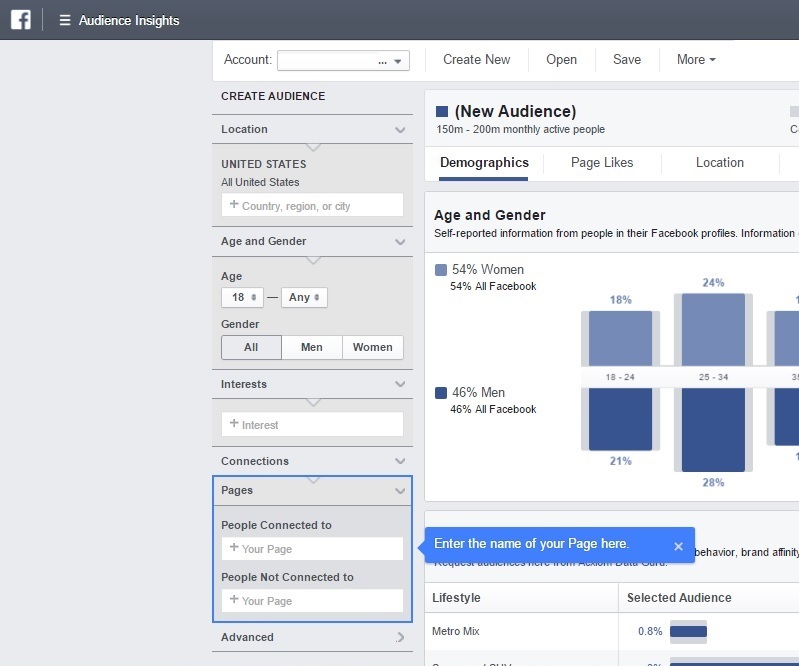 To see the audience target audience profile as a whole, you need to combine data on each tab. To set the thumbnail image, facebook has given the convenience of uploading a separate image apart from the video. Also, they have devised a 20% text rule to apply to thumbnails, which is apparently not for full videos. Learn more about facebook video ad from this page. Facebook loves trends. Facebook introduced the trending section some two years ago which shows us the latest trends and news. It lets you view posts that match current events or trending news stories. It didn’t take much time for brands to take advantage of this feature for their marketing gains. The marketing method we are talking about is called ‘Newsjacking’. This algorithm update has created an easy way for brands to boost their Facebook engagement. Newsjacking is creating content that revolves around trending stories. And the video content format as you know works the best on facebook. The popularity of a news story may drop off quickly, so in order to get your video posts to appear higher in the News Feed, you’ll need to act fast. You can Create some trending video content and couple it with relevant hashtags when you are posting it . If you succeed in providing a unique twist, commentary or insight on a popular story, it will reach a wider scope of audience easily. If your video is good enough, your video will top of the Facebook News Feed when a particular person clicks on the hashtag to check the trending posts. You can make similar videos relevant to the trend with Animaker’s Video Marketing Templates. Similar to the Animated video ad, you can also set up a featured video to announce some major updates or happenings in your company or organization like a promotion of a recent video or announcing an event. It will appear at the top of the “about” section, amidst the focus of everyone. You have an option of change the featured video every now and then. To change the featured image, Go to ‘videos’ tab and you will find the ‘Add featured video button. It will appear like this. The features that facebook has bestowed to the business category adds to the bigger advantage of a having a huge online presence to marketers. Recently, facebook has announced that people are posting 75% more videos to Facebook than they did a year ago. And, U.S. users are posting a whopping 94% more videos. The stars are aligned and the signs are just right. With the marketing methods, we talked about, there has never been a better time for you to create amazing animated social videos and earn the attention of people. 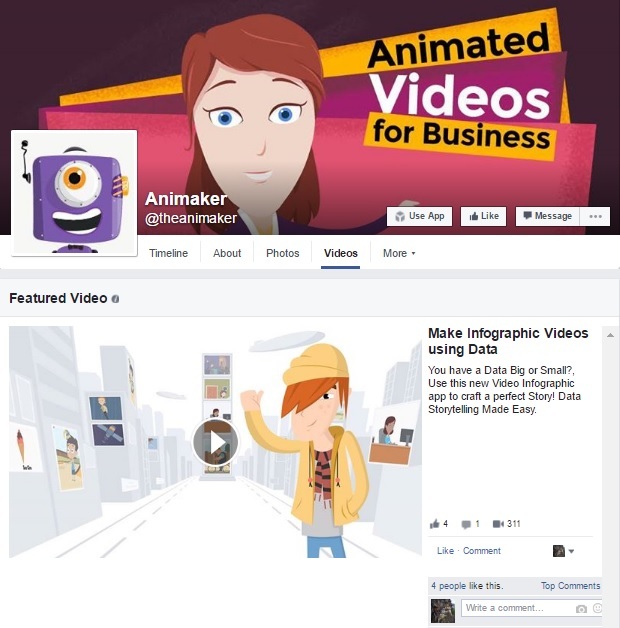 Do you have more ideas for performing better on facebook using animation videos? Please share your ideas with us. 10 Kickstarter Video Tips for Startups to Kick Start Their Journey to Success!